Dear David Coleman: My five-year-old blocks his ears and talks loudly if there is anything 'emotional' on TV. Why is he doing this? 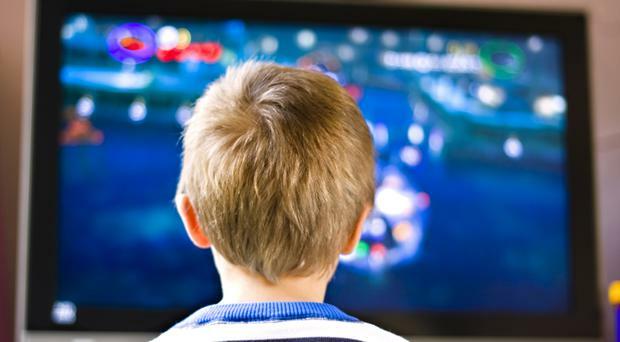 Q When my five-year-old is watching something "emotional" on TV or in a film, he starts talking gibberish really loudly at the top of his voice, as if to block out what's going on onscreen. Sometimes he even puts his fingers over his ears and won't look at the TV. What's going on here? Is he trying to block out emotional turmoil? It's funny to watch him, but curious too. Ireland soccer star David Meyler announced the birth of his second baby yesterday morning in an emotional tribute to his wife Cally. Harry Judd "didn't feel an instant connection" with his son Kit. The number of paternity leave payouts dipped by 10pc last year with take-up among dads remaining slow, new figures show. Dear David Coleman: My son will be four-and-a-half this September. Should I send him to school, or wait another full year? Q I am very worried about my 10-year-old son. His dad lives abroad and has not seen him in six years. A mother of four sons in the US has gone viral for her stance on women wearing leggings. My mum is on at me about summer camps. This happens every year. She wants me to be "keeping busy" over summer, and says she's not going to let me "lie about all day, every day, doing nothing". Dear David Coleman: My daughter started preschool last September but she still doesn't seem to have settled. Should I take her out? Q Some days, my two boys play great, but most of the time, the six-year-old is picking on the eight-year-old. We are worn out trying to keep harmony. It's very hard not to drink alcohol when you're 15. Especially in Ireland, I mean. It's like everyone else is drinking or thinking about drinking or has drunk, and so not drinking marks you out. Some people think I'm a total loser because I haven't drunk alcohol yet. And it's not true that I haven't ever drunk alcohol: I've tasted beer and wine at home, just a sip from my Dad. He let me try whiskey one night. My mouth and throat felt like they were on fire. Ireland has the third highest fertility rate in the EU, although the average woman is older than 30 when she has her first child. Dear David Coleman: How can we help our son stay calm after Fortnite? Dear David Coleman: 'My daughter (7) was shown what I consider to be inappropriate music videos in school. What should I do? Dear David Coleman: Night terrors... how can I help my son to get over these frightening episodes? Dear David Coleman: My daughter gets left out in school. One of the girls can be quite nasty. What can we do? Both women in a lesbian couple will be able to register as parents of a baby conceived with the help of a sperm donor under proposed legislation. Parents are too busy to potty train their children early enough - not recognising the strain the delay puts on their bladders and bowels, a survey suggests. Dear David Coleman: I need techniques to deal with my toddler's challenging behaviour? Q Can you please give me advice about our two and a half-year-old son? He has always been a challenging boy and never sat still even as a baby.